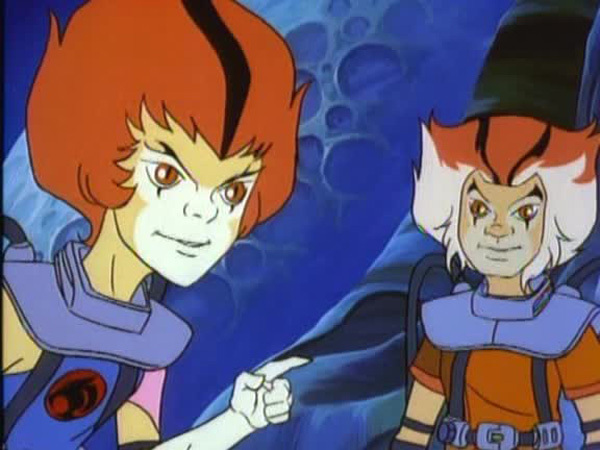 The value of teamwork has been a prevalent theme in several ThunderCats episodes. The fidelity among the ThunderCats and their allies leads them to victory while their nemeses are forced to taste defeat due to their treacherous nature and solo aspirations. This deep-seated solidarity among the ThunderCats stems from the Code of Thundera which they are strongly bound to. Justice, Truth, Honor, and Loyalty, the four pillars of the code form the foundation of the ThunderCats’ way of life. 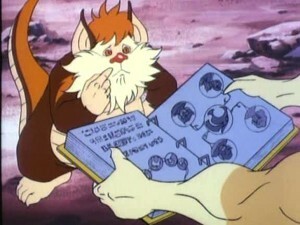 Deserting even one of these laws is enough to devastate the very core of the ThunderCats, as is explored this episode. The air inside Cats’ Lair is filled equally with the aroma of Snarf’s Candy Fruit pie and Tygra’s frustration at failing to decipher the Book of Omens. As the striped gent joins the other ThunderCats to sample some of Snarf’s cuisine, Lion-O decides to browse the mystical book some more. 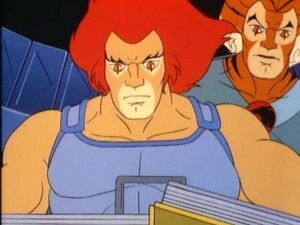 Among the runic letters inscribed on the pages, an image of a sacred chain piques Lion-O’s curiosity the most. To answer the tome’s riddle, Jaga appears and identifies the ornament as the Chain of Loyalty, one of the most sacred pieces of the Treasure of Thundera. 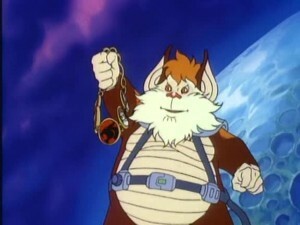 If broken, the chain would cause the ThunderCats to fight amongst themselves. What follows is the ThunderCats’ expedition back to New Thundera to recover the Chain of Loyalty. Compelled by his addiction to eavesdropping on the ThunderCats’ daily conversations, Mumm-Ra learns all about the Cats’ plan and, with Ma-Mutt, teleports to New Thundera before them. Upon arriving he encounters Snarf Eggbert and captures him before taking on the form of the plump feline and intercepting the ThunderCats as they arrive on New Thundera in the Feliner. 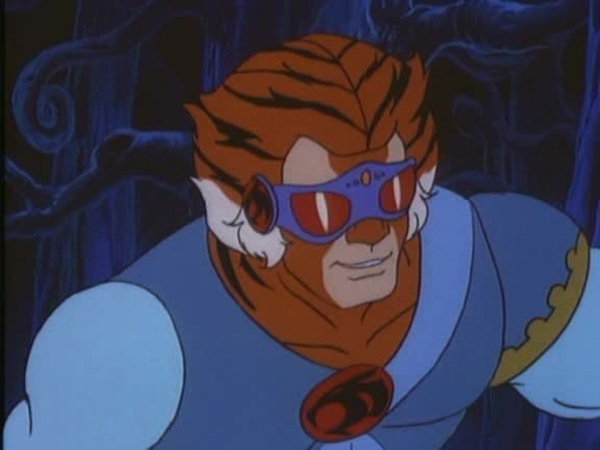 To speed up the search, the Cats split up, and Mumm-Ra in the guise of Snarf Eggbert, accompanies Lion-O and the ThunderKittens into the Mountains of the Moon. 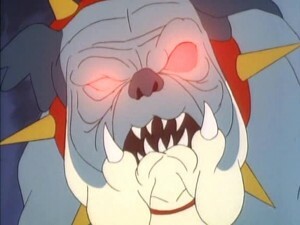 It is not long before the group locates the Chain of Loyalty and as soon as he gets his paws on the sacred relic, Mumm-Ra reverts back to his fearful form. Despite being sternly warned by Jaga about the deceptively delicate nature of the Chain of Loyalty, and Wilykit’s pleas, Lion-O blasts Mumm-Ra with the Sword of Omens and ends up hitting and breaking the chain. This triggers the ThunderKittens to squabble between themselves and even turn on Lion-O. 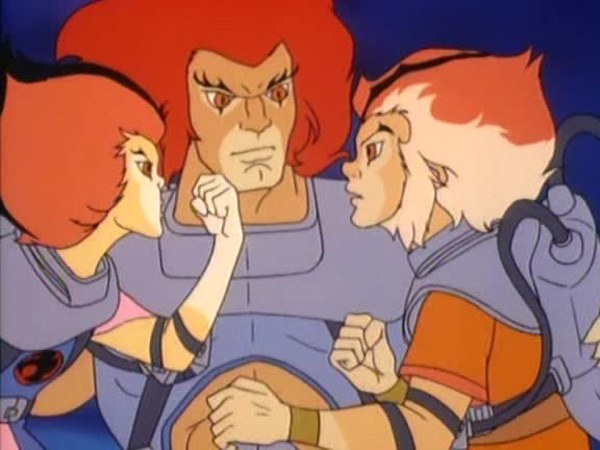 Not wanting to hurt them, Lion-O ties up the two quarrelling kittens and heads off to look for his other comrades. Lion-O encounters Tygra and Cheetara fighting each other in the Jungles of Darkness and they soon turn their attention on the young lord. The battle between the three is one of the highlights of the episode and is beautifully animated and choreographed. The hostile dialogue adds flavor to the scene and it is both refreshing and shocking to see the squeaky clean ThunderCats engaging in acerbic verbal exchange. 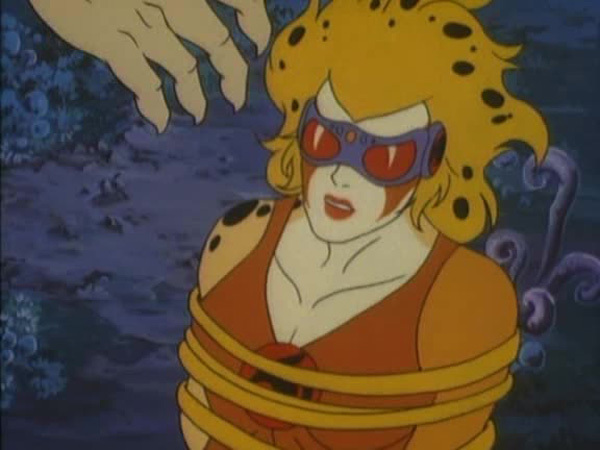 With a lot of difficulty, Lion-O manages to restrain Tygra and Cheetara but before he can take a breather, Panthro makes an entrance and pounces on Lion-O. 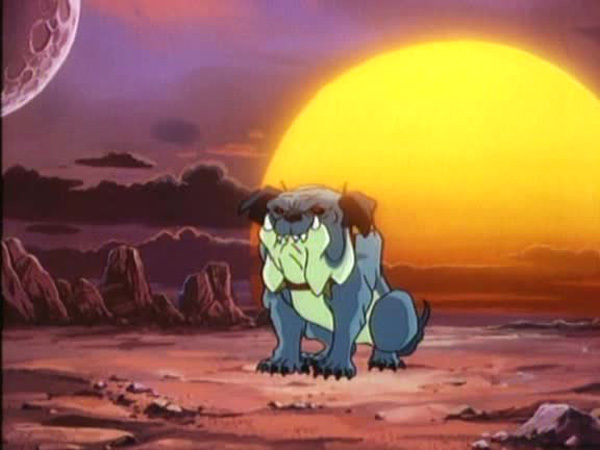 Fortunately for Lion-O, Snarf Eggbert, who has escaped from Ma-Mutt, arrives in the nick of time to lend a tail and knocks Panthro off his feet. 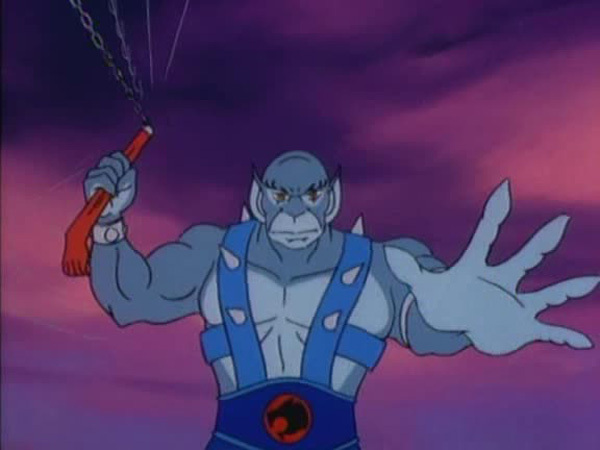 For a moment, the audience are teased with a twist when Lion-O’s summon does not affect the manic ThunderCats, but the viewers’ excitement is immediately dampened when the Sword of Omens miraculously repairs the Chain of Loyalty, thus restoring the ThunderCats to their senses. 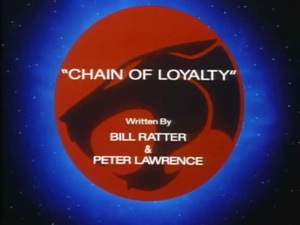 Despite being crafted by writing pros Bill Ratter and Peter Lawrence, “Chain of Loyalty” is a very weak and predictable episode. By revealing the plot right at the beginning of the episode via Jaga’s explanation, the writers, like Lion-O, shoot themselves in the foot. A better approach would have been to present that revelation much later in the story. The confusion and excitement that would have been generated by the ThunderCats inexplicably fighting each other would have really elevated this episode. 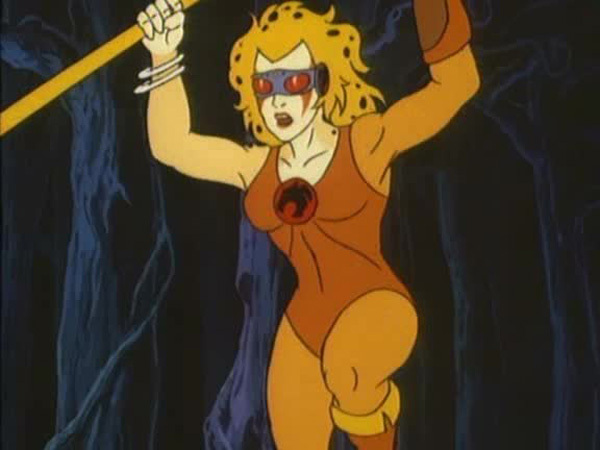 The linear plot is also plagued by numerous flaws such as the loyalty of the ThunderCats stemming from a chain rather than their own will, Lion-O not being affected by the chain’s breakage, and the less than inspiring resolution. The concept of pitting the ThunderCats against each other has been explored successfully in episodes like “All That Glitters”, “The Anointment Trials”, and “Catfight”, but in this episode it is severely misused. 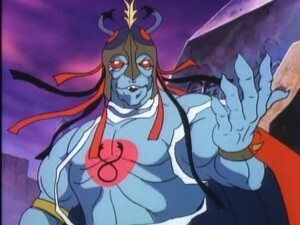 Making its debut in “ThunderCubs Part I” Mumm-Ra’s teleporter is given a name in this episode, Mumm-Raft! 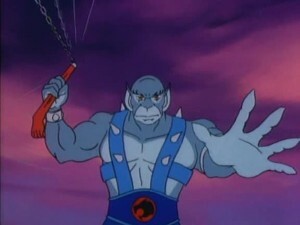 In a rather curious scene, Panthro finds an empty soda can in the Caverns of Cold. Who knew that Thunderians were so fond of drinking carbonated beverages! 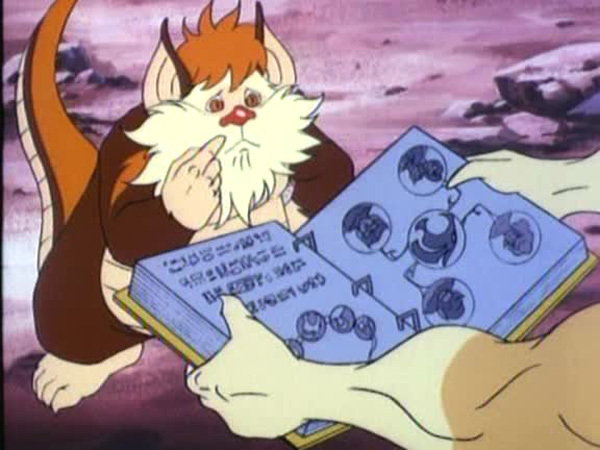 In order to trick Ma-Mutt, Snarf Eggbert tries to imitate Mumm-Ra’s voice, which sounds a bit like Safari Joe, thanks to both characters (Snarf Eggbert and Safari Joe) being voiced by Larry Kenney. 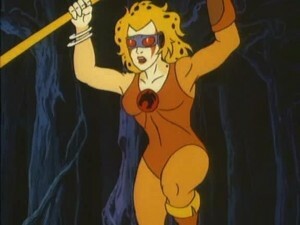 In “All That Glitters”, by using the Sword of Omens against a fellow ThunderCat, Lion-O incurs the Curse of Balthaz which causes the sword to break. Surprisingly, when he does the same in this episode, nothing dreadful happens. Mumm-Ra calls Ma-Mutt by a number of alliterative names in this episode such as decrepit dog, horrible hound, cantankerous canine, and crass cur.